Coaching, Encouraging, and Equipping Marriages since 1983. 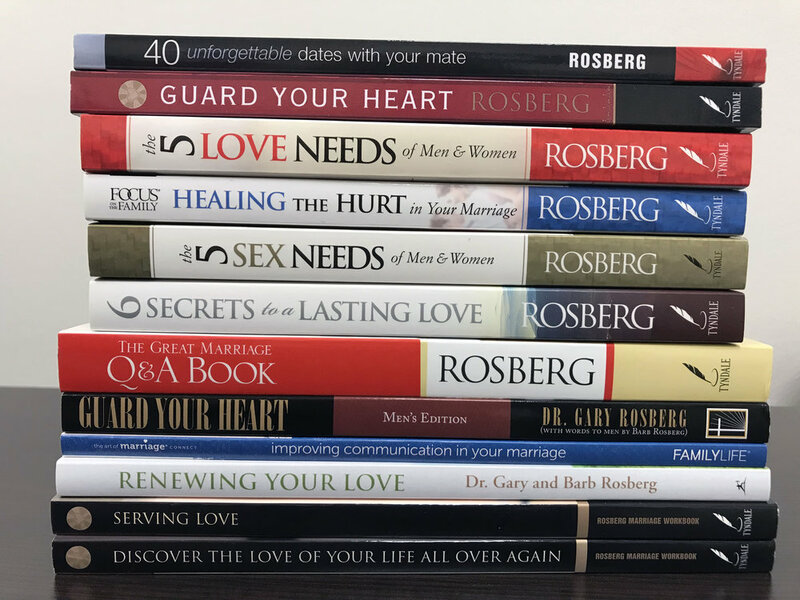 Together, the Rosbergs have written more than a dozen prominent marriage and family resources and DVD series with almost 1 million total copies in print world-wide. If your marriage or family relationship needs to be strengthened, please take advantage of our online resources. Hear Dr. Gary and Barb Rosberg anytime, anywhere. Check out their podcasts that tackle your most desired topics in marriage and relationships. Since 2009 the Rosbergs have partnered with Focus on the Family Africa to minister all across South Africa.